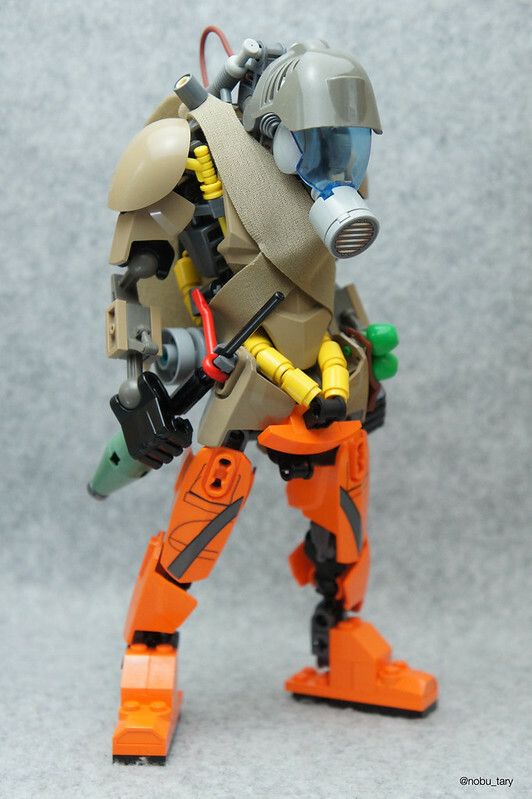 This new character from builder nobu_tary looks right off the post apocalyptic battlefield. Or possibly right off the pages of some dystopian graphic novel. Or maybe just ready to clean the cat box in my house (dumb, stinky cats). This is a seriously cool combination of parts all coming together to great effect.